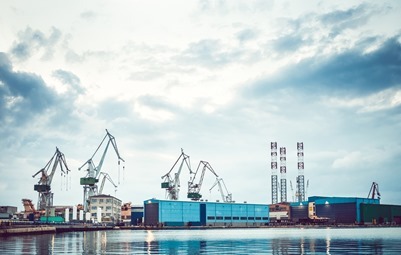 Shipyard owners are concerned with protecting their businesses from exposure to financial damage, especially in the form of lawsuits and liability issues. As part of their ongoing efforts to insulate their businesses from harm, these conscientious proprietors are checking to make sure that the companies they do business with meet all insurance coverage requirements. 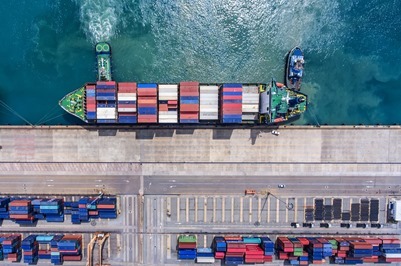 If your maritime business lacks the necessary USL&H coverage, you could find yourself facing the harshest of penalties – including the loss of valuable contracts, the imposition of stiff fines, and even actual jail time! USL&H, which refers to the United States Longshore and Harbor Workers’ Compensation Act, was enacted to provide compensation to employees in the event of their injury or death while performing maritime work on board a vessel or at a dock, port, or shipyard on navigable waters of the United States. It also protects the employer from claims by employees for medical bills and lost wages. USL&H is federally mandated, which means companies that fail to obtain coverage as required are subject to stiff penalties that can include fines of up to $10,000 and incarceration for a year. Even more seriously, uninsured employers and company officers may also be held personally liable for compensation and any other benefits that may accrue to an injured employee. USL&H coverage provides benefits similar to Workers' Compensation to contractors performing work on or with vessels on navigable waters of the United States. Accidental injuries, occupational diseases, and death arising from employment are covered by Workers' Comp; similar benefits accrue to maritime employees under USL&H coverage. Even contractors’ employees who have "incidental USL&H" exposure, such as electricians, heating and AC contractors, flooring installers, and other personnel performing repairs on equipment located on a boat, are subject to the USL&H Workers’ Compensation Act if they suffer any injuries or illness while performing their duties. While USL&H benefits are similar to benefits provided by Workers’ Compensation Insurance, the rules are far more stringent. Workers’ Comp is only required for businesses with four or more employees in Florida, each state has its own requirements. Contractors that fall under USL&H guidelines, however, need to provide coverage even if only one employee at their company will be performing qualifying work. In addition to USL&H coverage, MHG Insurance Brokers also provide marine general liability insurance, which protects you in the case of liability or property damages to a third party while engaged in marine related operations. Marine general liability insurance is an absolute necessity for any business providing repair or other services on vessels, as even seemingly minor damage to a boat can prove to be expensive. 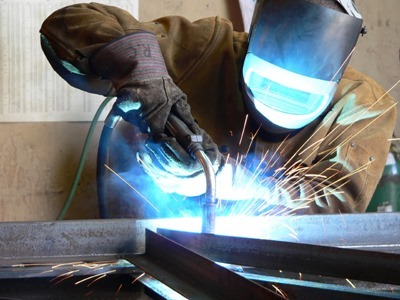 Now that you know the relevant details about USL&H – shipyards are checking if you have it, Federal law requires you to carry it, and there are stiff penalties for companies that do not have it - the experienced Insurance Specialists at MHG Insurance Brokers can help you obtain the USL&H policy that best suits your needs. Does your business have the USL&H coverage it needs? Find out by perusing this handy guide on the key facts of Maritime Workers Compensation coverage. Did you know MHG Insurance Brokers is offering Tour & Excursion Operators Legal Liability insurance, also known as Shore-Ex Insurance? Here’s more about our program. Shore-Ex Insurance is a package contingent liability program designed specifically for tour operators seeking to work with the cruise line industry. Depending on the nature of the business itself, the program offers three principal lines of insurance coverage that address the exposures of the operation in question. 1. Commercial General Liability- Responds to suits brought against you by third parties on the grounds of bodily injury and/or material damage caused by your negligence. 2. Contingent Watercraft Liability- Provides excess insurance coverage that sits on top of an underlying Protection & Indemnity (P&I) policy thereby increasing your overall limit of insurance. 3. Contingent Auto Liability- Provides coverage over and above any locally placed Commercial Auto policies for liability arising from the operation of your motor vehicles. · Includes worldwide jurisdiction, satisfying cruise line requirements. · Limits up to $5,000,000 available. · ‘A’ rated insurance carrier. The Shore-Ex policy offers coverage for a wide variety of excursions and tours. Whether your company offers sightseeing, scuba, paddle boarding, parasailing, ziplining or ATV tours among other activities, we can help! Let us focus on your insurance so you can get back to running your business. Even with the best intentions, accidents happen and it is important to have the proper insurance coverage in place to appropriately cover the day-to-day risks that you face. As a trusted partner of the cruise lines, we have been providing insurance advice and guidance to the cruise industry for over 25 years. Not only do our dedicated insurance specialists have the knowledge and expertise to pair you with the right policy, but our team consists of staff who were once underwriters for Tour & Excursion Operators Liability and who ran shore excursion companies worldwide. Whether you are setting up a new business and purchasing a policy for the first time or already have a policy in place, we can help. Having proper insurance is important in every aspect of life. Here at MHG Insurance Brokers, we offer a variety of different solutions for many industry sectors. From Yacht Crew insurance, Property & Casualty, Ocean Marine insurance to Individual and Group Health insurance, even Life Insurance, we offer a comprehensive suite of tailored products to protect you, your family and your business. To avail of some advice directly from our team of experts, read our previous blog, “If You Could Give One Piece of Advice to Your Clients, What Would It Be?” If you are interested in purchasing a Tour & Excursion Operators Legal Liability Policy, or simply need some more information contact us at mhginsurance.com or call us at +1 954 828 1819 or +44 (0) 1624 678668. Our team of brokers have the knowledge and experience to consult with you on the best coverage for your budget, and can also assist you with any insurance questions you may have. Why Doesn’t Regular Commercial General Liability Cover Marine Contractors? Commercial General Liability insurance is designed to cover land-based operations. Typically, there is an exclusion in most CGL policies for any work done onboard ship, docks, or piers. The reason for this exclusion is that marine risks are better suited for a Marine General Liability policy. One major area of concern for a marine risk is the coverage for care, custody, and control. This coverage is critical for ship repairers especially and is a standard coverage on an MGL policy. 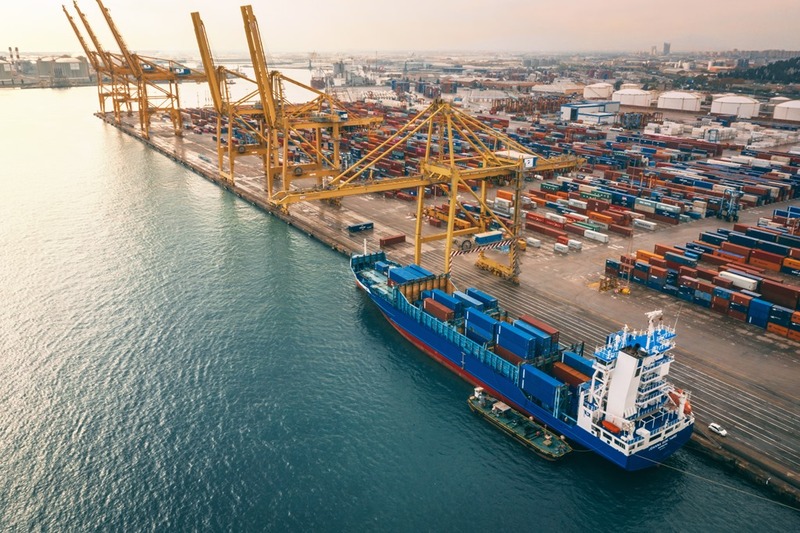 As you may have read in one of our previous blog posts, Marine General Liability vs. General Liability, we explained that General Liability excludes work done on ships, docks, and bridges. 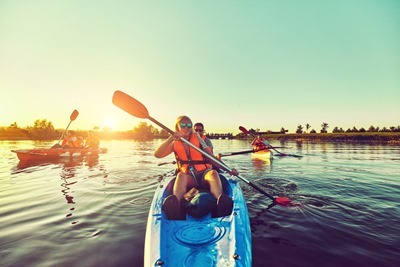 A General Liability policy doesn’t include watercraft coverage; including the ownership, maintenance, and use of watercraft owned by you, the insured. The client, shipyard or vessel may never know all these exclusion by just looking at a certificate of insurance. The forms and endorsements are included in the policy wording- which brings up the fact that an experienced insurance broker could help you when it comes to the specifics of policy exclusions and/or benefits. Commercial General Liability policies protect business owners against claims of liability for bodily injury, property damage, and personal and advertising injury (slander and false advertising). Premises/operations coverage pays for bodily injury or property damage that occurs on your premises or as a result of your business operations. Products/completed operations coverage pays for bodily injury and property damage that occurs away from your business premises and is caused by your products or completed work. Marine General Liability policies are designed specifically for those who work on vessels, docks, and ports. These policies include coverage for Marine Contractors, ship repairers, and others who work on or near water. Often, contractors that perform work such as carpentry or welding will be asked to do work on a ship or in a port. Their normal operations are on land and they carry CGL coverage. Many do not realize that their current policy will not cover them for work done on a vessel or on a dock. Most shipyards, vessels, and ports don’t check the coverages listed on a certificate of insurance provided by the contractor, they may let them work with improper coverages, not knowing the exclusions that the contractors have in their policies. This is where the problem arises, since they may not be covered in the event of a loss or accident. Commercial General Liability policies are not designed to cover marine operations. In order to offer coverage for a risk, the underwriter needs to understand the operation. Class codes are used as a way for an underwriter to rate a risk and determine the premium paid. Class codes are also a way for an insurance company to decide what types of business they want to insure. It is important that the company that insures your business understands exactly what you do and how you do it. Otherwise, you may be paying for a policy that will not cover a loss specific to your business. Marine businesses are best insured by a marine underwriter with an insurance company that is familiar with the marine industries. Typically, there is an exclusion in most CGL policies for any work done onboard ship, docks, or piers. Read to learn more! Cruises are made to be a fun memorable vacation that individuals, couples, and families can remember for years to come. A major part of the cruise industry are excursions. As Tour and Excursion Operators know, one of the first things guests do when stepping onboard a cruise ship is to book all the excursions they plan to take part in. While excursions are often considered one of the most fun parts of going on a cruise, there are still liabilities, and accidents that can happen, which is why waivers should be signed, and you should be insured! Below are some of the most common injuries reported by Tour and Excursion Operators. We were notified of 2 separate incidents where the individuals both suffered fatal heart attacks whilst snorkeling. Both had long term medical histories which showed it was effectively ‘natural causes’ and no law suit was filed. Seeing the world under the surface of the ocean is amazing. However, there is heavy and expensive equipment involved with scuba diving. Luckily, many places will not let people dive without a proper license, but that doesn’t mean you still aren’t exposed to liabilities upon injuries. For instance, what if someone doesn’t come up to the surface properly? Many of the top attractions and excursions throughout the Caribbean include swimming with a variety of sea creatures. Whether it be dolphins, sharks, sting rays, or other fish, accidents can happen, and there have been reports of people getting bitten or stung. Jet skis are one of the most thrilling and exciting excursions that people choose to partake in. While they can be a very enjoyable time, such thrills and excitement can come at a cost. 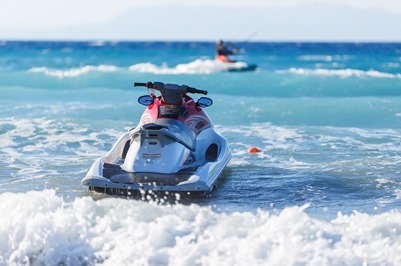 Improper use of Jet skis has been responsible for tragic crashes, injuries, or even worse. One of the main causes of this stems from inexperience of the individual that is operating the craft, who aren’t well versed in the rules and laws of the water when it comes to other boats or vessels in the area. Last but not least, many believe that the most frequent injuries are sustained on zip lines. While you may be thinking that many of the injuries occur because of a fall that is not necessarily the case. Far more common, is injury that is sustained when reaching the end of the line and impacting against poorly maintained equipment at speed. Now that you are further aware of some of the accidents that can happen in the Shore-Ex industry, cover your liabilities with Shore-Ex Insurance, also known as Tour and Excursion Operators Liability Insurance. Shore-Ex Insurance is a package contingent liability program designed specifically for tour operators seeking to work with the cruise line industry. For more information on Shore Ex Insurance, read our previous blog, “Customized Insurance for Tour and Excursion Operators”. If you are interested in purchasing a Tour & Excursion Operators Legal Liability Policy, or simply need some more information contact us at mhginsurance.com or call us at +1 954 828 1819 or +44 (0) 1624 678668. Our team of brokers have the knowledge and experience to consult with you on the best coverage for your budget, and can also assist you with any insurance questions you may have. While excursions are often considered one of the most fun parts of going on a cruise, there are still liabilities, and accidents that can happen. No matter what type of business you have, every business has unique needs when it comes to liability protection. Especially if your business is conducted near or on the water, such as marinas and shipyards. Marine general liability coverage is necessary for businesses of this nature. There are some businesses who aren’t aware of the difference between marine general liability and commercial general liability. One difference is that commercial general liability policies often include an exclusion for work done on or near water. This is important because if the incorrect policy is purchased, there may be no coverage at the time of a claim. Claims typically happen when you least expect them. The following are three common marine general liability claims. We are all familiar with slip and fall accidents. Businesses on or near the water can create more opportunities for wet floors, or other areas of moisture. 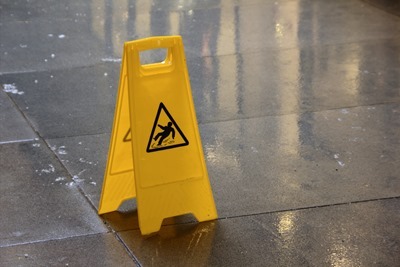 It is important to have proper signage around your property/building giving warnings of “slippery when wet.” Installing non-skid flooring is another way to help prevent a slip and fall claim. Keep in mind that slip and falls can happen whether there are wet floors or not. No matter how much precaution you take, you still need proper insurance coverage in case of a claim. Just as damages and mishaps can happen on your property, they can happen on others’ property as well. If your business involves employees doing work at a marina, shipyard or private dock, you may be held liable for damage caused by your employee. Properly train your employees, and provide safety procedures that employees are required to follow at every location. Marine contractors that do work involving welding are especially vulnerable to this type of claim. Work done on or near the water involving boats has an inherent risk of a pollution loss. There are state and federal regulations involving pollution both from gasoline and oil. Both substances are used daily in many marine operations. It is very important that the policy include coverage for Sudden and Accidental Pollution Liability. A marine contractor can be subject to stiff fines and penalties for polluting a body of water. Having the proper insurance coverage is crucial for the success of any business, and every business needs coverage specific for its characteristics. For more information on marine general liability, read our previous blog, “Marine General Liability vs. General Liability.” If you have any more questions, would like further explanation, want to change your general liability policy to a marine general liability policy, or are interested in any other form of business insurance, please contact us by calling 954-828-1819 or visiting mhginsurance.com. We look forward to assisting you with all of your insurance needs. Claims typically happen when you least expect them. The following are three common marine general liability claims.